Bill Bryson is one of our great contemporary humor writers. If you have read In a Sunburned Land, or A Walk in the Woods, or I’m a Stranger Here Myself, you know his keen ear for dialogue and his ability to describe his adventures with hilarity while dishing facts. It is this ability to deliver on the facts that makes One Summer America 1927 such a great read. Mr. Bryson is a consummate researcher. Following his graduation from Drake College in Des Moines, he returned to Great Britain with his British bride and did a decade stint as journalist, copy editor and national news editor so he comes by this skill honestly. He loves to dig up obscure facts about the topic at hand and lay them out to marvel upon, then top them with a real zinger prefaced by “and here’s the thing…”. With Bill Bryson you learn a lot, chuckling as you go. One Summer America, 1927 is a researcher’s book. Bryson selects the year 1927 and goes to town on it. You get a biography of Babe Ruth, of Charles Lindbergh, Calvin Coolidge and Herbert Hoover. You come up to speed on the events preceding the great market crash, the trial of Sacco and Vanzetti, the state of aeronautics, and the advent of ‘talkies’ (films with sound). We see Prohibition driving illegal liquor trade and Al Capone profiting as a result. You learn that of all the aviators vying to be first to fly from New York to Paris, only the marginally funded Lindbergh could actually navigate. The Spirit of St. Louis was basically a canvas kite with a state of the art motor and 450 gallons of fuel. The plane was optimized for low fuel consumption during flight and barely made it over the power lines at the end of the runway. Due to the rake of the landing gear, Lindbergh could not see the runway for takeoff or landing and in flight had to crab the plane to see forward from the side window. Before Babe Ruth’s entry into baseball, the most prolific home run hitter had 7 homers for the season. Baseball was played as a technical incremental game with bunts and directed hitting. Nobody swung for the fences. In 1919 the Babe himself belted 11 homers, more than any entire team in baseball. That said, he pitched for the first quarter of his career, with an ERA of 2.28 and a winning percentage of .671. His fielding average was .996, by far the best in the league and he was just warming up. He was an incredible athlete and a prodigious eater. We find Cal Coolidge as the original do nothing president, Herbert Hoover as a humorless, tireless manager of monster projects (like funneling food into Europe to stave off food shortages following WWI). If Mr. Hoover did it, there would be a press conference so all were aware. We see Sacco and Vanzetti condemned to death because if they were not guilty of the crimes they were charged with, they were surely guilty of something. We see Al Capone brought down for tax evasion (where did all that money come from AL?). Bryson brings it together in this fact filled delight. Like a jigsaw puzzle, facts and info snap together to complete a picture of USA circa 1927. As always, he digs out one cool detail after another, piles them up and zings you with his conclusion. Does One Summer America 1927 pass my test – did I want to keep on reading? Yes, indeed. A fun gift for barflies and a terrific treat for book clubs, Tequila Mockingbird is the ultimate cocktail book for the literary obsessed. Featuring 65 delicious drink recipes — paired with wry commentary on history’s most beloved novels — the book also includes bar bites, drinking games, and whimsical illustrations throughout. George Carlin’s musings, his follow-on to Brain Droppings. You will snort all the way through. How to Sharpen Pencils: A Practical and Theoretical Treatise on the Artisanal Craft of Pencil Sharpening by David Rees has arrived. Our price is $7.00. Find it in our Humor section. A couple of McSweeney’s books have arrived: Created in Darkness by Troubled Americans and The Rector and the Rogue. Now more than ever, Americans are troubled by questions. As sweaty modernity thrusts itself upon us, the veil of ignorance that cloaked our nation hangs in tatters, tattered tatters. Our “funny bones” are neither fun nor bony. Glum is the new giddy, and the old giddy wasn’t too giddy to begin with. What can be done to stop this relentless march of drabbery? Nothing. But perhaps this book can be used to dull the pain. A fascinating tale of detection and revenge, The Rector and the Rogue uncovers for the first time the trail of celebrated Victorian trickster “Gentleman Joe”—the mysterious con-man whose innumerable identities, wild fabrications, baffling motives, and international trail of chaos would lead to one of the most bizarre criminal cases of the 19th century. Smile frozen in the down position? Say Bunky, what you need is a couple of laughs. Ease on into the Book Shop at 26th and Western and relax while we work on your funny bone. Keep it real with the musing of George Carlin and the Saderis‘. Get cubic with Scott Adams and Dilbert. Bill Amend lends a light touch to the family scene with FoxTrot. Go way out on the Far Side with Gary Larson, get goofy with Dave Barry and rowdy with Chelsie Handler. Get your cat fix with Garfield and your weird fix with P. J. O’Rouke. Or consider those fine volumes with the waterproof covers from the Bathroom Readers Institute, Uncle John’s Absolutely Absorbing Bathroom Readers. There’s something here for everyone so there’s something here for you. Order online for home delivery or pickup in the store and start feeling better right away. 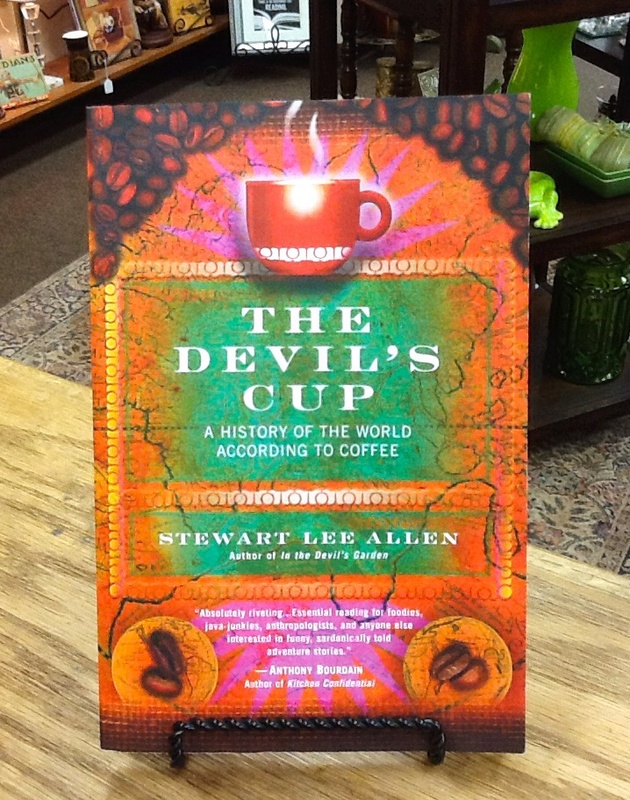 The Devil’s Cup: A History of the World According to Coffee by Stewart Lee Allen is now available at the Book Shop. The Book Shop price is $7.45. 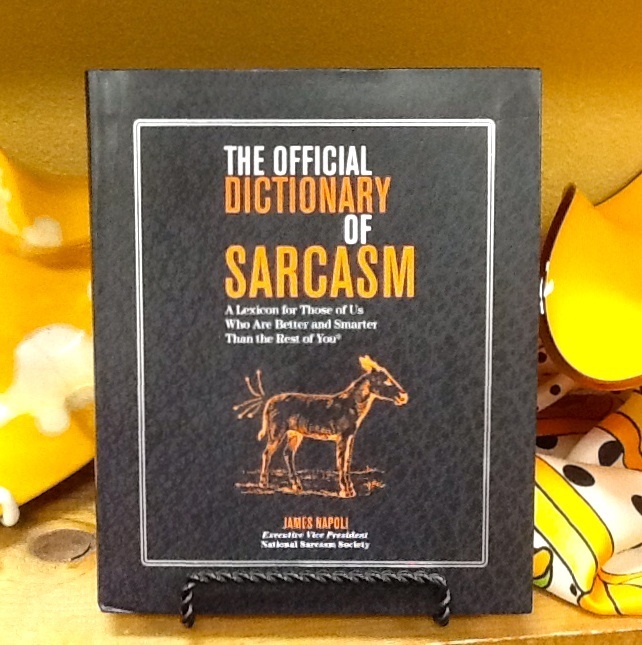 The Official Dictionary of Sarcasm by James Napoli has arrived at the Book Shop. Our price is $7.45. 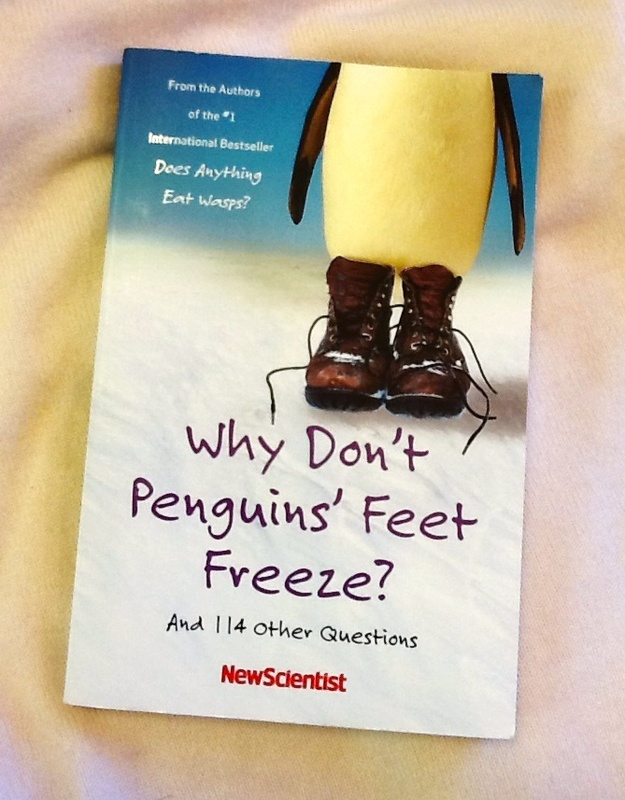 Why Don’t Penguins’ Feet Freeze? and 114 Other Questions by New Scientist is $7.00 at the Book Shop.